Ron Paul supporter Taco John, a.k.a. Issac Lopez, was interviewed by the War Street Journal, which turned its story on Paul into a hit piece on the Ron Paul Revolution as well as the campaign itself. I got a PM the day after 11/5 from a reporter from the WSJ saying she wanted to talk with me about online campaigning. We connected, and when we spoke, she sounded very sympathetic, like she understood that there was a lot of unfairness in the media with how we are being treated. About halfway through the call, when Huckabee's name came up, she started to get a bit defensive and thus put me on the defense. I then had the feeling that this was going to be a smear peice. Apparently she thought it was "extreme" for us to be going around and finding contact information for the reporters and public commentators who were out there painting a negative picture about Dr. Paul, and his chances to become president. So she used a post that I made trying to rally the troops to fight the slander to make all Ron Paul supporters look off their rockers. In any case, I got a call this morning from Fox Business News. They want to have me in studio to discuss (supposedly) the phenomenon of online campaigning. It actually sounds legit, because they have me on opposite of Andrew Saeij of Tech President and PersonalDemocracy.com. I expect to be going on to talk about the concept of a decentralized campaign and why no other candidate "gets it" when it comes to online campaigning. They assured me that this wasn't going to be a contentious peice, and that the host might play a little devil's advocate, but that I'm not going on to be smeared. So that probably tells me that I should expect to be smeared (cynic that I am). Taco John then appeared on False News to talk about the reasons for the Ron Paul campaign's rise to national prominence. He even did a phenomenal job defending Paul and the entire Revolution on False News, and, at the same time, refused to let the host marginalize or misrepresent the campaign's devout supporters. Fox News' Judge Andrew Napolitano on his latest pro-liberty book A Nation of Sheep. Even more, Thomas DiLorenzo tells you why you must read this bestselling, incredible, ground-breaking book. Prominent retired fiction novelist Stephen King tells Time that Jenna Bush should "be waterboarded." Someone in the Bush family should actually be waterboarded so they could report on it to George. I said, I didn't think he would do it, but I suggested Jenna be waterboarded and then she could talk about whether or not she thought it was torture. The Iraqi government wants to buy our military bases and keep there on a permanent basis for their own protection. In return, they would offer promises of favoritism for our investments and the ongoing use of their military facilities. Wouldn't our government be doing the same thing, to further its protectionistic and mercantile interests? Oh, wait a second! Ooops, it's already doing just that. 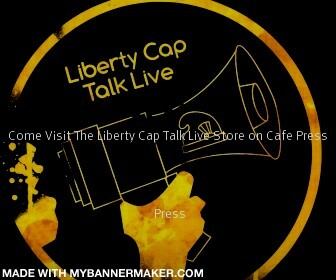 Thanks to the the members of the U.S. House of Repressors, a bill that, for all intents and purposes, shreds freedom of speech and grants the U.S. federal government more power to see libertarianism or any ideology as an "extreme belief system" has been voted on and passed in the House chamber. The bill is expected to be introduced in the Senate, and there are signs that it will indeed pass as well. The bill, in a nutshell, declares that anyone who espouses a purist ideology of any kind will be stripped of his U.S. citizenship, tortured, and/or terminated, along with no rights to habeas corpus and the ability to appeal it before the Supreme Court. In essence, anyone with a radical point of view will be considered, in the eyes of the evil state, a "terrorist." It goes without saying that this is largely directed at libertarians of all stripes, including, but not limited to, the following: paleolibertarians, left-libertarians, right-libertarians, anarcho-capitalists, minarchists, free marketeers, etc. It is interesting to note that Ron Paul did not show up to vote on the measure, probably because he spent the day to concentrate on his campaign activities. However, it is a certainty that he would have voted NO if he had seen the bill in its entirety. Walmart is being flooded with applicants at every new store. As the world's largest private employer, Wal-Mart is used to being greeted by large numbers of applicants almost every time it opens a new store. But the 6,000-plus people who applied for jobs at the new Supercenter in Cleveland's Steelyard Commons took everyone, even Wal-Mart, by surprise. 'We had to recount [the applications] three times,' said Mia Masten, Wal-Mart's director of corporate affairs, Midwest division. When thousands of people compete for a few hundred ordinary jobs, trend watchers say it's an indication not only of a less-than-stellar economy but also of a workforce short on marketable skills. The huge number of applicants wouldn't have caught anyone's eye had these been skilled, high-paying jobs, the types of positions that thousands of people always seek. But these were regular retail jobs with low-to-average wages and benefits, not the sort of positions typically in high demand. Target wouldn't disclose the number of people who applied to work at its Steelyard Commons store. Cleveland.com's god-awful The Plain Dealer -- and the MSM -- just don't get it. These Marxist propagandists absurdly think that the applicants who are getting hired into the company and other retail chains like it are the victims of "capitalist exploitation." Yet they don't realize that the company which they waged war against is actually helping them, not hurting them. They also have no clue that the anti-free enteprise monsters like the AFL-CIO or even the United Food and Commercial Workers are just pilfering their wagings to further their own political agendas at the expense of the workers whom they claim they support. 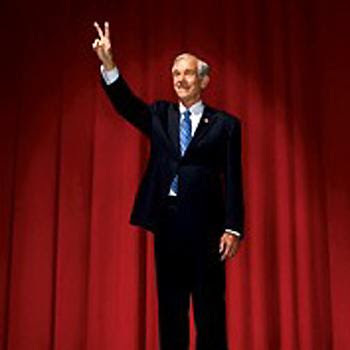 This awesome New York Times Magazine photograph of Ron Paul says it all: Ron Paul is the best hope for human liberty across the board. As the old saying goes, "A picture is worth a thousand words." This video, which was posted on YouTube by the site's prominent Avaroth provides an introspective and highlighting look into Ron Paul's ideas on monetary policy. He even welcomed into the world the newest member of the Ron Paul movement last month while briefly putting his YouTubing on the side. A British woman who was pregnant 10 years ago had aborted her unborn child to help save the environment. A British woman who had an abortion 10 years ago and was later sterilized did so because she believes pregnancy is bad for the environment, the London Daily Mail reported Sunday. Toni Vernelli, 35, hopes her actions would ensure her carbon footprint would be kept to a minimum, the Mail reported. The environmental advocate also sees having children as an egotistical act. 'Having children is selfish. It's all about maintaining your genetic line at the expense of the planet,' Vernelli told the Mail, adding she believes bringing new life into the world only adds to the problem. Considering she has a "no-child" policy in effect, does this amount to an environmentalabortion?